ARRL LoTW - Log of the World by ARRL let hams confirm two-way contacts they have made and use the confirmations as credit toward various awards. Club Log - Welcome to Club Log, a web-based tool for producing DXCC league tables, log search services and most-wanted lists for ham radio clubs and societies. HRDLog - Amateur Radio Web based logbook, initially linked to ham radio deluxe log and now supported by other popular log book programs, permit to publish a searchable contacts log, maps logs, and display a timeline of contacts. 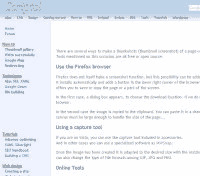 LogSearch applet by G4ZFE - The Log search applet is a Java applet that allows on-line searching of your contest or DX-pedition logs. The applet and logs (in an optimised format) are located on your web site. 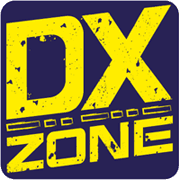 QSO Director - The QSO Director is a tool for hams developed by hams done for DXPedition, consist of a windows application that install on logging stations, bu also a public web site for dx chasers, a private web site for pilot and team members. WWFF Logsearch - Welcome to the wwff logsearch - part of the world-wide flora. Search your call sign for any contacts done with the WFF Stations. Search only in "Log Search Services"